The following previews for each sectional site contain pertinent information about the state playoffs in addition to a variety of truly random facts. Note #1...the team listed as The Favorite is the #1 seed, the teams listed as The Contenders are the #2, #3, and #4 seeds, and the teams seeded #5, #6, and #7 are considered Sleepers. Note #2...This section contains NO predictions. The X-Factor: St Viator was a surprise addition to the Barrington Sectional, so they have not faced several of the teams at the event, including top-seed Schaumburg. Will that be an advantage or a disadvantage to the Lions? Coolest Mascot: This one could go a bunch of ways. I'm a big Aston Villa FC supporter (soccer team in England) and they have the same Lion in their emblem that St Viator uses, so that's my choice. But, someone else making the decision could easily lean towards the Saxon, the colors of the Conant Cougars' paw, or maybe even support the 'stache that the Fremd mascot rocks. I'm going with the Viator/Aston Villa Lion. You can go with whatever you want. Random Alumni: Jonathan Spector, a US National Team and West Ham United soccer player (St Viator). Kristen Cavallari of The Hills (Barrington). Co-host of The View, Sherri Shepherd (Hoffman Estates). Former MLB star Dave Kingman (Prospect). Nightline co-anchor Terry Moran (Barrington). Colorado Avalance goalie Craig Anderson (Barrington). YouTube co-founder Steve Chen (Hersey). Top Chef All-Stars competitor Dale Levitski (Prospect). The X-Factor: Oak Park has been plagued by injuries throughout the 2011 season. Can they get healthy in time to challenge the unbeaten Friars if they can get to the sectional championship game? Coolest Mascot: Last year I went with the Shamrocks from St Patrick. I said it was green, lucky, and it's a McDonald's shake. This year I'm changing it up and going with that sweet-looking Hornet from Foreman. And I'm getting a Shamrock shake for the mascot from R-B...he doesn't look too happy. Random Alumni: Illinois Governor Pat Quinn (Fenwick). Former governor Rod Blagojevich (Foreman). Ray Kroc, the founder of McDonald's (Oak Park). Poet and novelist Carl Sandburg (York). Arthur Nielsen, the founder of TV's Nielsen Ratings (Morton). Author and Nobel Prize recipient Ernest Hemingway (Oak Park). Lawyer Peter Francis Geraci, from the random TV commercials (Foreman). Milwaukee Bucks forward Corey Maggette (Fenwick). University of Illinois AD Ron Guenther (York). State senator Dan Cronin (Fenwick). The X-Factor: Most of the teams in the GBN Sectional have played each other multiple times throughout the season, including last weekend's CSL Tournament. Will that familiarity help a specific team when everything is all on the line? Meanwhile, Loyola is the only non-CSL team involved and has played an exceptionally difficult schedule this season. Are they battle-tested enough to win the sectional again as the third seed? Coolest Mascot: The Maine South Hawk is tough to beat, the Blue Demon from Maine East sounds really intimidating, but the GBS Titan looks kind of like Thor, the latest superhero film doing big things in theaters. I'm not going against the Greek gods. Random Alumni: Blackhawks announcer Pat Foley (Loyola). Actor and NRA President Charlton Heston (New Trier). Hillary Clinton (Maine East & Maine South). Rashard Mendenhall, Pittsburgh Steelers running back (Niles West). Derrick from MTV's Road Rules and just about every Real World/Road Rules Challenge show (Maine East). Chicago mayor Rahm Emanuel (New Trier). Chef and restaurant owner Charlie Trotter (New Trier). The X-Factor: H-F seemed like the clear favorite until two late-season losses to Sandburg and Lockport (the #2 and #3 seeds here). Can the Vikings regroup in time to get back to the state tournament? If the Eagles and Porters meet in the semifinals, will the winning team have enough left in the tank to win another game less than twenty-four hours later? And will a sleeper team like Andrew or Lincoln-Way North be able to pull off an early-round upset and make some noise on Friday or Saturday? Coolest Mascot: There's plenty of choices at the LWN Sectional, what with the Eagles, Knights, and Vikings all involved. The Bradley Boilermaker has a pretty tough looking hammer with him. I've never seen a Red Jaguar (Bremen) but it sounds like it would be pretty impressive. But I'm going with a defensive choice here, and the Lincoln-Way West Warrior at the end looks like he is ready to defend and fight at the same time. Warriors win this year. Random Alumni: Apprentice Season 1 winner Bill Rancic (Sandburg). WGN anchorman Mark Suppelsa (LWC). Toronto Raptors forward Julian Wright (H-F). Northwestern University football coach Pat Fitzgerald (Sandburg). WWE wrestler CM Punk (Lockport). 49ers offensive lineman Tony Pashos (Lockport). Pittsburgh Pirates first baseman Garrett Jones (Andrew). NFL defensive back Rodney Harrison (Marian). LA Dodgers pitcher John Ely (H-F). The X-Factor: The Lyons Sectional has boiled down to a matchup between Lyons and Brother Rice in the last few years, but teams like Curie and Stagg are vastly improved and could pose a serious threat to the top two seeds if they can win their opening round games on Thursday night. Coolest Mascot: Condors (Curie). I still like the mascot and the logo. It wins for the second straight year. Random Alumni: White Sox announcer Ed Farmer (St Rita). NBA star Dwayne Wade (Richards). John Kass, a Chicago Tribune columnist (Richards). St Louis Rams defensive end Victor Adeyanju (Curie). Channel 7 news anchor Cheryl Burton (Lindblom). Blackhawks' announcer Eddie Olczyk (Brother Rice). NY Giants offensive lineman David Diehl (Brother Rice). 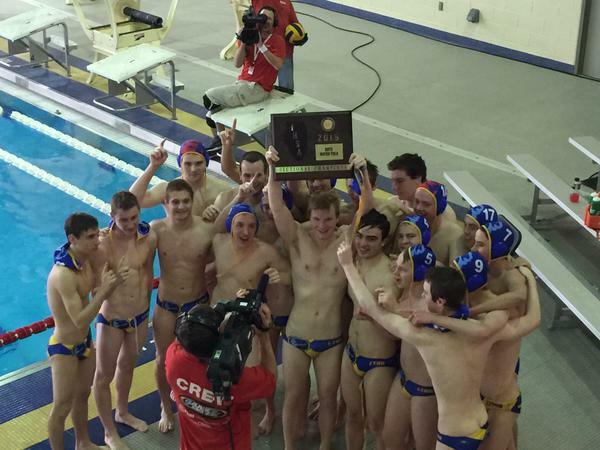 The X-Factor: The Neuqua Valley Sectional seems to get deeper every year. This year, seven of the nine teams posted winning records, so there could be several surprises in store for a few of the top-seeds beginning on Thursday night. Coolest Mascot: A Redhawk or a Red Devil? A cool looking Hornet or a fierce-looking Wildcat? Nope...I was just watching The Celebrity Apprentice when making the decision and they were talking about brand integration, and it feels like St Charles North did that the best by calling themselves the North Stars. Winner, winner, chicken dinner. Or something. Random Alumni: Saints' head coach Sean Payton (Naperville Central). Tennessee Titans running back Chris Brown (Naperville Central). Former White Sox owner Bill Veeck (Hinsdale Central). Cleveland Cavaliers guard Anthony Parker (Naperville Central). Bob Dudley, current CEO of BP (Hinsdale Central). WNBA player Candace Parker (Naperville Central). Former Phillies' and NFL Films announcer Harry Kalas (Naperville Central). Tennessee Titans wide receiver Justin McCareins (Naperville North). MLB players Jerry Hairston, Jr. and Scott Hairston (Naperville North). The X-Factor: St Ignatius enters their own sectional as the favorites to get back to state, but Latin has turned it on late this year and Young has quietly put together a 21-3 record and earned a key late-season win over Curie two weeks ago. Don't be surprised if there is an upset or two at this sectional. Coolest Mascot: Since The Hangover sequel is coming out in theaters in May, I just can't shake how awesome they made the term 'one-man Wolfpack' sound in the first movie. The Wolfpack (St Ignatius) is the winner. Random Alumni: Michelle Obama (Young). NFL quarterback Donovan McNabb (Mt Carmel). ESPN show host and journalist Michael Wilbon (St Ignatius). Former First Lady Nancy Reagan (Latin). John Tobias, the creator of Mortal Kombat (Young). Steve Wilkos, the bodyguard from The Jerry Springer Show (Lane).Former Blackhawks' owner Bill Wirtz (Latin).Former NHL player Chris Chelios (Mt Carmel). Mayor Richard M. Daley (DeLaSalle). The X-Factor: Palatine and McHenry crash the party at the Vernon Hills Sectional after making it to the sectional finals at the Barrington Sectional in 2010. Will both teams be able to get back to the title game for a rematch, or will the defending champions (Mundelein) put things together after a topsy-turvy 2011 season? In addition, can underrated squads like Libertyville, Wheeling, or Stevenson provide an early-round surprise that goes along with the single-elimination tournament format? Coolest Mascot: The Pirate is my clear-cut choice any time I have the option, and this year is no exception, especially with a new Pirates of the Caribbean film coming out on May 20. But this time, it gives me an excuse to seriously advise, no, IMPLORE you to watch this video of a horserace that includes a horse named Arrggghhhh. Random Alumni: NFL head coach Rex Ryan (Stevenson). Geek Squad founder Robert Stephens (Wheeling). Detroit Red Wings' defensemen Brett Lebda (Buffalo Grove). NASCAR Truck series driver Ted Musgrave (Stevenson). Chicago Tribune columnist Phil Rosenthal (Lake Forest). William Goldman, the author of The Princess Bride (Highland Park). Former White Sox first baseman Frank Thomas (Libertyville). Baltimore Ravens safety Tom Zbikowski (Buffalo Grove). America's Next Top Model winner McKey Sullivan (Lake Forest). Houston Texans wide receiver Kevin Walter (Libertyville).